Citizens United — the conservative group that won the landmark 2010 U.S. Supreme Court case that allows corporations to finance campaign ads — has endorsed Sam Clovis, one of five Republicans running for the U.S. Senate. David Bossie is president of Citizens United. 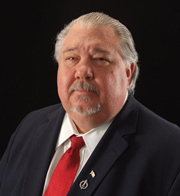 “We believe Sam Clovis is really the only full-spectrum conservative in the race,” David Bossie, president of Citizens United, said during an interview with Radio Iowa. The group’s “Victory Fund” donated $5,000 to the Clovis campaign. Bossie said Citizens United will email its Iowa members and urge them to get involved in the Clovis campaign. “Our hope is that between Eagle Forum yesterday endorsing Sam Clovis as the social conservative in the race and we’re endorsing him today and I know other big conservative organizations will be coming in for Sam in coming weeks, that we can provide him really a momentum to do well on primary day,” Bossie said. The Eagle Forum was founded by conservative activist Phyllis Schlafly in 1972 and it gained national prominence for leading the fight against an Equal Rights Amendment to the U.S. Constitution. On Wednesday, former Alaska Governor Sarah Palin endorsed Joni Ernst, another candidate competing for the Iowa GOP’s Senate nomination. Congressman Bruce Braley, the only Democrat running for the U.S. Senate in 2014, has been endorsed today by Elizabeth Warren, the Massachusetts Senator who has become a leading voice for those who argue more must be done to reign in Wall Street excesses. Warren praised Braley as a “prairie populist” and a “bold” progressive who is focused on economic fairness. Warren’s endorsement comes as Braley’s campaign is dealing with the fall-out from disclosure of a video in which Braley describes Republican Chuck Grassley as a “farmer…who never went to law school” and who may lead the Senate Judiciary Committee if Democrats lose control of the Senate. Senator Warren wrote in an email to supporters of the Progressive Change Campaign Committee that “right-wing Super PACs” like Citizens United will “say whatever they need to say and spend whatever they need to spend” to keep Braley out of the Senate.